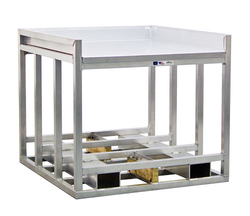 We've added a new size to our Elevated Picking Platform offering! The 49.5" d x 45" wide will handle standard 40" x 48" pallets. Place a pallet on the deck, pick product, remove with forklift ready to go.